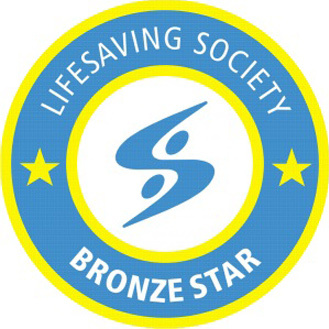 Bronze Star is the pre-Bronze Medallion training standard and it is excellent preparation for success in Bronze Medallion. Participants develop problem-solving skills individually and in partners. They learn how to keep a cool head and take charge in an emergency. Includes a 400 metre timed swim. This course gives students basic knowledge of first aid techniques that will assist in their rescues as well as every day minor scenarios. The focus is on remaining calm and acting quickly in first aid emergencies. Students will learn rescue breathing techniques as well as choking rescues as well as CPR skills. As personal protective equipment (PPE) is required for use and evaluated in both programs, a keychain face shield and gloves has been included in the course cost and will be issued to each candidate at the first class. Prerequisite(s): Minimum age of 11 years and completed Zodiac Swim 12 or equivalent.